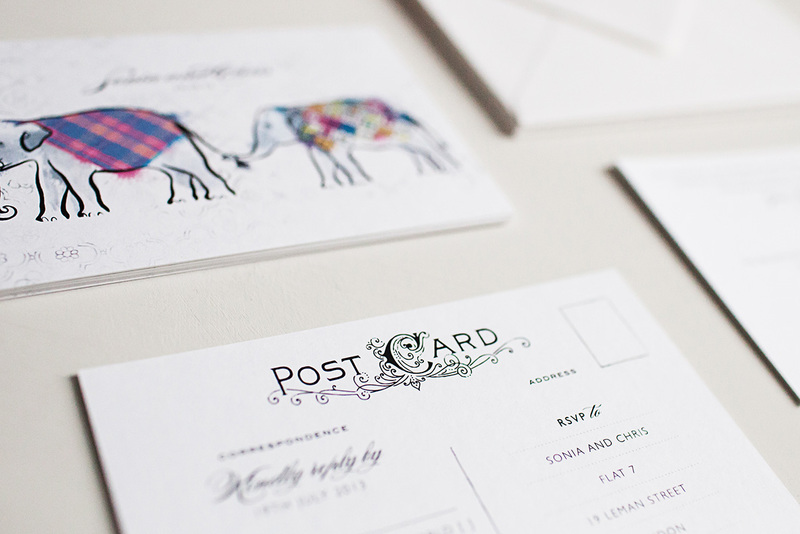 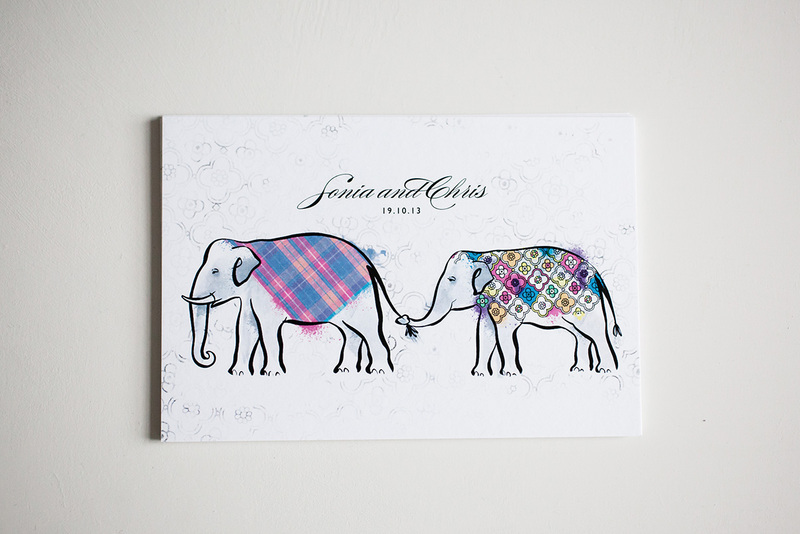 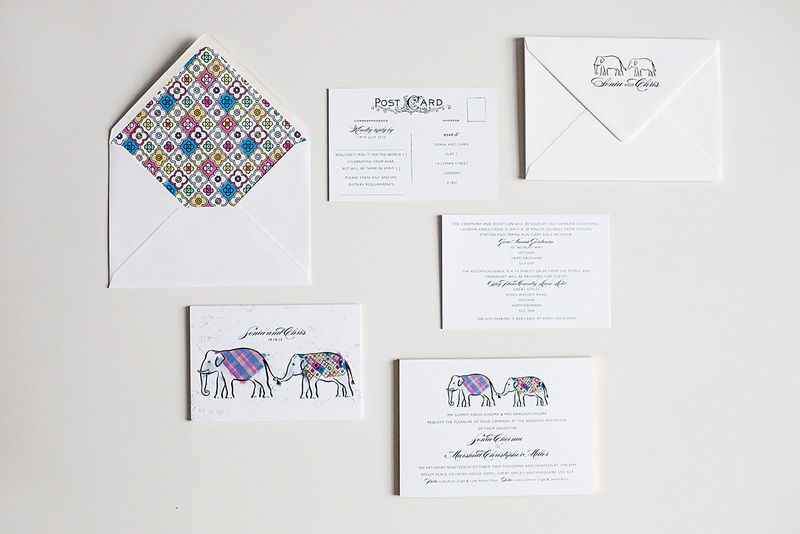 Sonia and Chris wanted their invites to reflect their two cultures and for the stationery to incorporate two Indian elephants, Chris’s elephant with a colourful tartan print and Sonia’s inspired by the paintings from the Indian Elephant Festival. 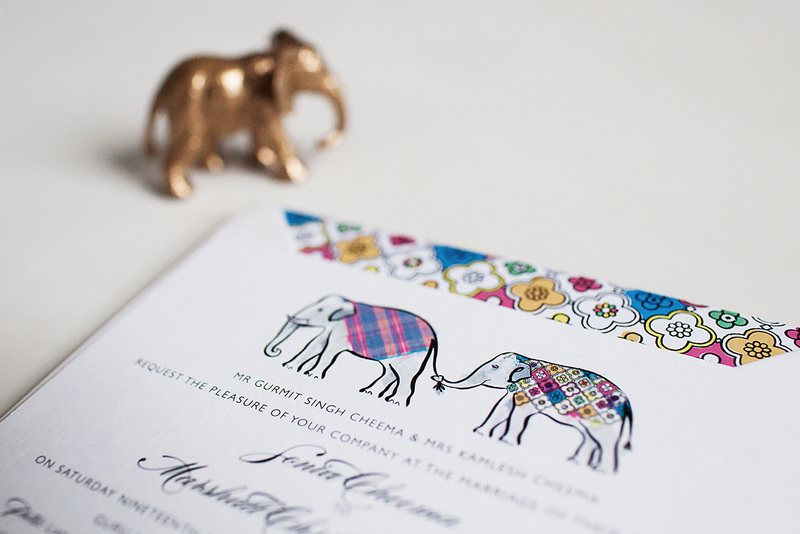 As they were having Indian and Scottish celebrations, three separate invites were needed and so Sonia wanted these to be defined with foil edging, gold for the Indian invites and silver for the Scottish invites. 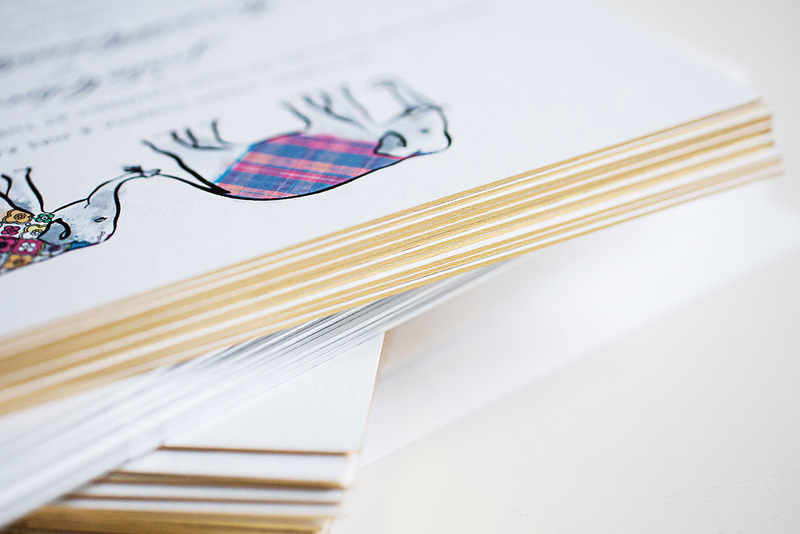 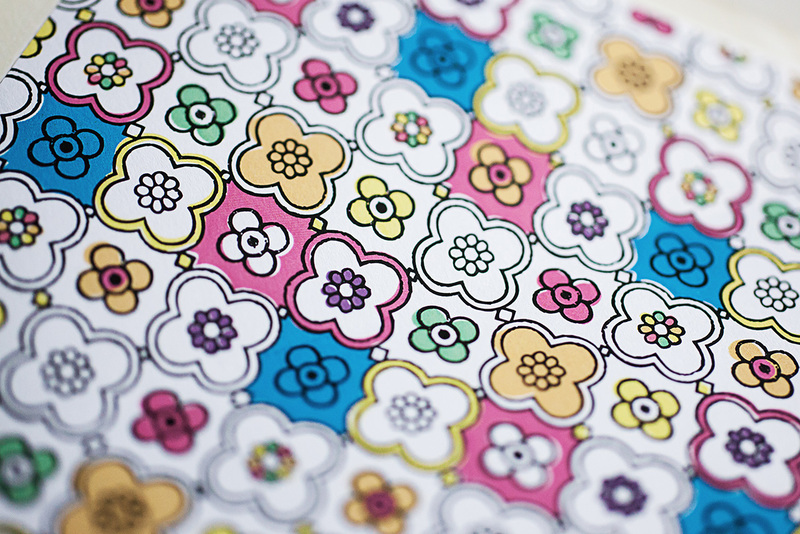 To really let the edging sing we duplexed the card to double the weight to 700gsm creating a deeper edge to really show off the shine! 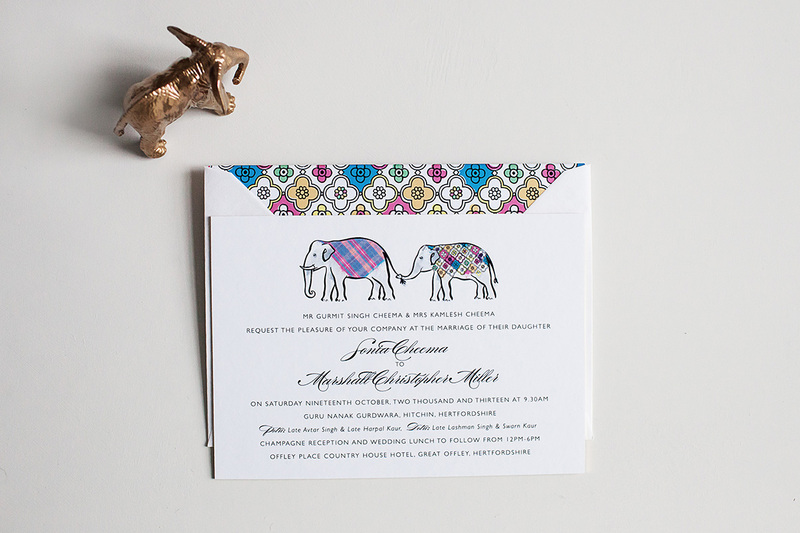 The invitations also came with coordinating RSVP postcards and information cards. 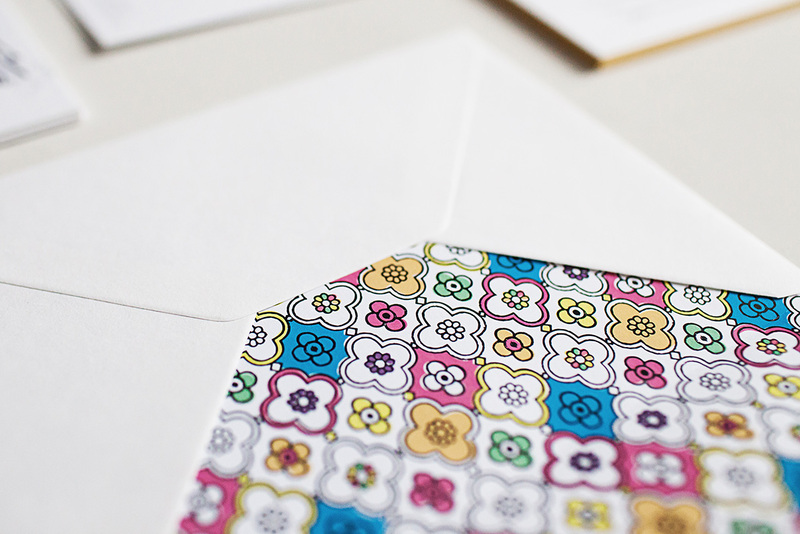 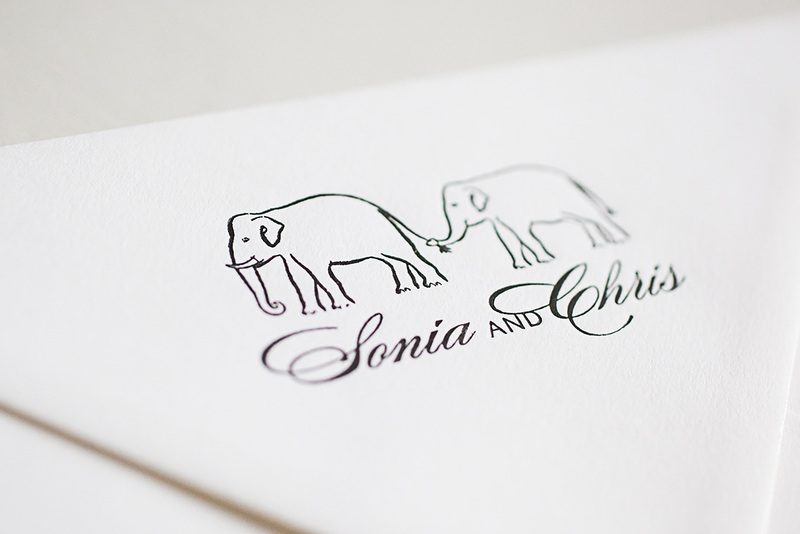 The envelope flaps were letterpress printed in black with the elephant motifs.